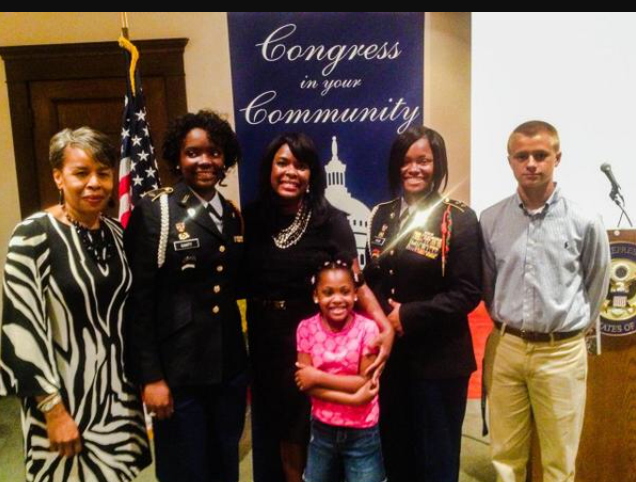 On October 9, 2014, Wes Davis (9th Grade) attended an informational program regarding the United States Military Service Academies hosted by U.S. Congresswoman Terri Sewell at the Birmingham Public Library. The informational program covered the minimum requirements needed for attendance and offered attendees advice on the proper course of action to have the best possibilities for appointment to one of the five academies. There were representatives from each of the academies there to cover the pro and cons of attendance of there institutions as well as provide informational material from their respective schools. Congresswoman Sewell stated that she can appoint five people from Alabama’s 7th Congressional District yearly and that she has started hosting these programs to raise awareness of the great opportunities available for a quality education provided by our service academies. Appointment is required to attend one of these academies and the scholarships are valued at between $300,000 -$400,000 dollars. Academy Representatives were present from: The Naval Academy, Air Force Academy, West Point, The Merchant Marine Academy and The Coast Guard Academy. The program was open to students from grades 8-12, and it is recommended to start the process as early as possible if interested.